After the culmination of a search beginning in the fall of 2017, the Jaguar Marching Band is pleased to announce the selection of their new drum majors for the 2018-2019 season. 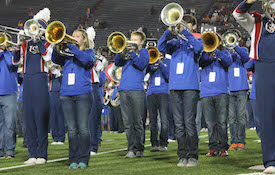 In a first for the JMB, two drum majors have been selected, a Head Drum Major and an Assistant Drum Major! We are pleased to welcome Alexandra Linton, a junior clarinet majoring in Biology from Gulf Shores as our Head Drum Major and Jonah Hadaway, a freshman trumpet majoring Radiologic Sciences from Bessemer as our Assistant Drum Major. Their duties will begin officially at the Red vs. Blue Spring Game on Saturday, April 14th at Ladd Peebles Stadium. 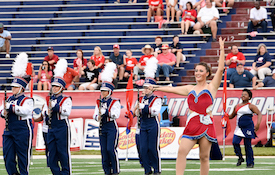 Linton and Hadaway will succeed outgoing three-year Drum Major Carson Watson of Prattville who will begin graduate studies in the Physician Assistant program at the University of South Alabama this fall. 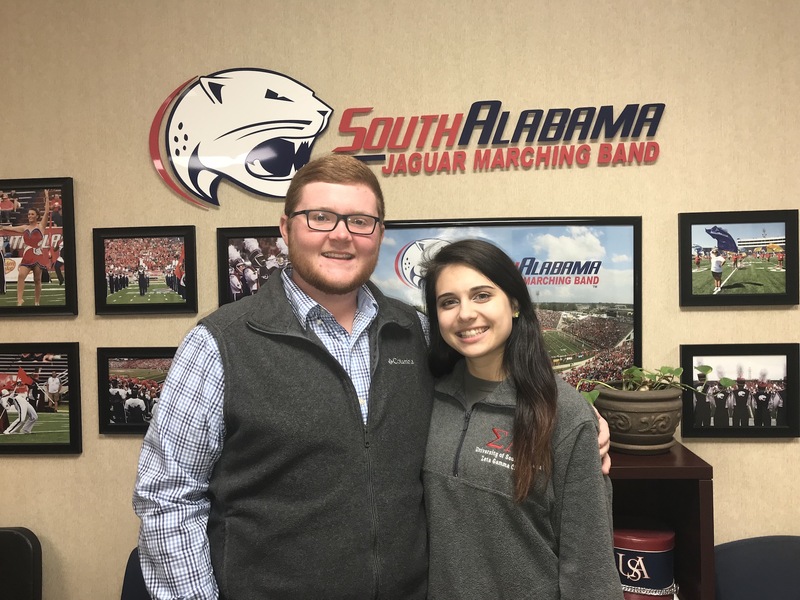 Look for these two new leaders of the Jaguar Marching Band at the Red vs. Blue Spring Game on Saturday, April 14th and in the fall as the Jags take the field under new Head Coach, Steve Campbell!